Rev. Wade A Hyslop, Jr.
New London is a seaport city and a port of entry on the northeast coast of the United States. It is located at the mouth of the Thames River in New London County, southeastern Connecticut. New London is located about 107 miles (172 km) from Boston, Massachusetts, 56 miles (90 km) from Providence, Rhode Island, 85 miles (137 km) from New Bedford, Massachusetts, and about 128 miles (206 km) from New York City. 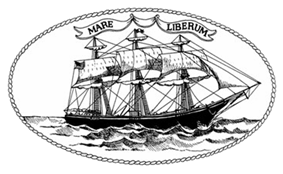 For several decades beginning in the early 19th century, New London was the world's third busiest whaling port after New Bedford, Massachusetts, and Nantucket. The wealth that whaling brought into the city furnished the capital to fund much of the city's present architecture. New London subsequently became home to other shipping and manufacturing industries, but has gradually lost its commercial and industrial heart. The city is home to Connecticut College, Mitchell College, the United States Coast Guard Academy, and The Williams School. The Coast Guard Station New London and New London Harbor is home port to the U.S. Coast Guard Cutter Chinook and the Coast Guard's tall ship Eagle. The area was called Nameaug by the Pequot Indians. John Winthrop, Jr. founded the first English settlement here in 1646, making it about the 13th town settled in Connecticut. Inhabitants informally named it Pequot after the tribe. The Connecticut General Assembly wanted to name the town Faire Harbour, but the citizens protested, declaring that they would prefer it to be called Nameaug. 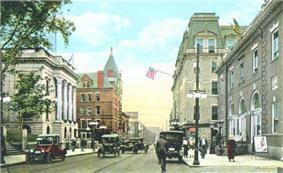 The legislature relented, and on March 10, 1658 the town was officially named after London, England. The harbor was considered to be the best deep water harbor on Washington and the French Army under Rochambeau from their march on Yorktown, Virginia. The main defensive fort for New London, Fort Griswold, located across the Thames River in Groton, was well known to Arnold, who sold its secrets to the British fleet so that they could avoid its artillery fire. After overrunning New London's Fort Trumbull, Ft. Griswold was attacked by the British, who suffered great casualties before eventually storming the fort and slaughtering many of the militia who defended it. All told, more than 52 British soldiers and 83 militia were killed, and more than 142 British and 39 militia were wounded, many mortally. New London suffered over 6 militia killed and 24 wounded, while Arnold and the British and Hessian raiding party suffered an equal amount. Several military installations, including the current United States Coast Guard Academy and Coast Guard Station New London, have been part of New London's history. Most of these have been located at Fort Trumbull. The first Fort Trumbull was an earthwork built 1775-1777 that took part in the Revolutionary War. The second Fort Trumbull was built 1839-1852 and still stands. By 1910 the fort's defensive function had been superseded by the new forts of the Endicott Program, primarily located on Fishers Island. The fort was turned over to the Revenue Cutter Service and became the Revenue Cutter Academy. The Revenue Cutter Service was merged into the United States Coast Guard in 1915, and the Academy relocated to its current site in 1932. 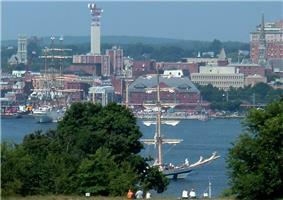 During World War II the Merchant Marine Officers Training School was located at Fort Trumbull. From 1950 to 1990 Fort Trumbull was the location for the Naval Underwater Sound Laboratory, which developed sonar and related systems for US Navy submarines. In 1990 the Sound Laboratory was merged with the Naval Underwater Systems Center in Newport, Rhode Island, and in 1996 the New London facility was closed. Although the Naval Submarine Base New London is physically located in Groton, submarines were stationed in New London from 1951 to 1991. The submarine tender Fulton and Submarine Squadron Ten were at State Pier during this time. Squadron Ten was usually composed of ten submarines and was the first all-nuclear submarine squadron. In the 1990s State Pier was rebuilt as a container terminal. The family of Nobel laureate and Pulitzer Prize-winning playwright Eugene O'Neill (1888-1953), and most of his own first 26 years, were intimately connected to New London. He lived for years there, and as an adult was employed and wrote his first seven or eight plays in the city. A major O'Neill archive is located at Connecticut College, and a family home there is a museum and registered national historic landmark operated by the Eugene O'Neill Theater Center. Dutch's Tavern on Green Street was a favorite watering hole of Eugene O'Neill and still stands today. The geographic coordinates of the state superior courthouse in New London are . New London, like the rest of coastal Connecticut lies in the transition between a humid continental climate (Köppen climate classification: Dfa) and humid subtropical climate (Köppen Cfa), as is typical for much of the Tri-State Area (NY/NJ/CT). 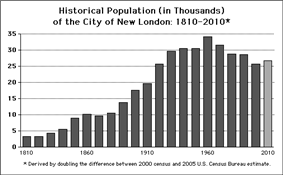 New London enjoys a sunny climate, averaging 2600 hours of sunshine annually. New London is the mildest large city in Connecticut in winter. In the summer months the southerly flow from subtropical high pressure (the Atlantic/Bermuda High) often creates hot and humid weather. Daytime heating produces occasional thunderstorms with heavy, but brief downpours. Spring and Fall is mild in New London - with daytime highs in the 55 to 70 F range and lows in the 40 to 50 F range. 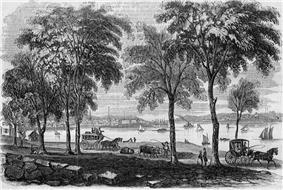 The seaside geography of New London allows a long growing season compared to areas inland. The first frost in the New London area is normally not until early November - almost three weeks later than parts of northern Connecticut. Winters are cool to cold with a mix of rainfall and snowfall, or mixed precipitation. New London normally sees less than 25 days annually with snow cover. In mid-winter, the differences in low temperatures between areas along the coastline and areas well inland can be large at times - often as much as 15 F.
Although infrequent, tropical cyclones (hurricanes/tropical storms) have struck Connecticut and the New London metropolitan area. Hurricane landfalls have occurred along the Connecticut coast in 1903, 1938, 1944, 1954 (Carol), 1960 (Donna), 1985 (Gloria). Tropical Storm Irene (2011) also caused moderate damage along the Connecticut coast, as did Hurricane Sandy (which made landfall in New Jersey) in 2012. Coastal Connecticut (including New London) is the broad transition zone where so-called "subtropical indicator" plants and other broadleaf evergreens can successfully be cultivated. New London averages about 90 days annually with freeze - about the same as Baltimore, Maryland. As such, Southern Magnolias, Needle Palms, Windmill palm, Loblolly Pines, and Crape Myrtles are grown in private and public gardens. Like much of coastal Connecticut/Long Island, NY, the growing season in New London is quite long, averaging 210 days from April 8 to November 5. Climate data for Sikorsky Airport (1981–2010 normals), ~74 mi (119 km) to the southwest, Snowfall data from NWS Norwich - 12 mi to the north. In the city the population was spread out with 22.8% under the age of 18, 17.6% from 18 to 24, 29.6% from 25 to 44, 17.9% from 45 to 64, and 12.1% who were 65 years of age or older. The median age was 31 years. For every 100 females there were 95.5 males. For every 100 females age 18 and over, there were 93.8 males. By land, New London is almost exactly midway between New York City and Boston. The major seaboard interstate highway, I-95, passes through the city, and New London's Amtrak station is on the passenger rail Northeast Corridor. The city of Worcester, Massachusetts is 74 mi (119 km) northward, principally via Interstate 395, and the Connecticut capital, Hartford, is 53 mi (85 km) to the northwest and reachable via several different state highways (principally CT-2 and CT-9). New Haven is 47 mi (76 km) to the west along I-95. New London Union Station is served by Amtrak's Northeast Regional and Acela Express regional rail services, plus Shore Line East (SLE) commuter rail service. Downtown New London is also served by local taxi companies, regional Southeast Area Transit buses, interstate Greyhound Lines buses, the Cross Sound Ferry to Long Island, the Fishers Island Ferry District, and in summer by the Block Island Express ferry. In 2010, the Estuary Transit District began public transit service between the New London transportation center and Old Saybrook. The Groton-New London Airport is located in neighboring Groton, and two major airports – T. F. Green and Bradley International Airport are within 75 minutes driving time, as is the smaller Tweed New Haven Regional Airport. Rail freight is by the Providence & Worcester Railroad and the New England Central Railroad. Seagoing cargo at the State Pier is handled by Logistec Corporation. New London is also occasionally visited by cruise ships. The city of New London has 56 firefighters and EMTs in the New London Fire Department(NLFD). Established in 1786, the NLFD currently operates out of 3 Fire Stations, located throughout the city, under the command of a Battalion Chief per shift. The New London Fire Department also operates a fire apparatus fleet of 3 Engines, 2 Trucks, 2 Ambulances, 1 Fire Investigation Unit, 1 Canteen Unit, and several other special, support, and reserve units. The NLFD currently responds to approximately 6,600 emergency calls annually. Engine 11 Ambulance 100 Fire Investigation Unit Battalion Chief 289 Bank St.
Engine 21 Truck 25 Ambulance 200 Haz-Mat./Decon. Unit 240 Broad St.
Engine 31 Truck 35 (Spare) Ambulance 400 (Spare) 25 Lower Blvd. New London recently changed their form of government from council-manager to Strong Mayor-Council after a charter revision. Distinct town and city government structures formerly existed, and technically continue. 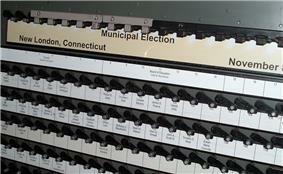 However, they now govern exactly the same territory, and have elections on the same ballot on Election Day in November, the first Tuesday after the first Monday, of odd-numbered years; the officials of town and city interact essentially as do the officials of a single town or city who have different but related responsibilities and powers. On August 23, 2000, the United States Court of Appeals for the Second Circuit decided in Jordan v. New London that "prevent[ing] frequent job turnover caused by hiring overqualified applicants" was legal grounds for disqualifying an applicant seeking a job with the New London Police. The plaintiff, Robert Jordan, took the Wonderlic Personnel Test as part of the city's application process; his score on that test was above the range required by the police department to legally narrow down the list of who qualify to take the next step in the application process. According to the city, Jordan was too smart to join the police, since in their experience, his intelligence correlated with an increased risk of job dissatisfaction, which in turn led to increased costs in hiring and training. On February 22, 2005, the United States Supreme Court, in a 5-4 vote, decided in Kelo v. City of New London, that the city may seize privately owned real property under eminent domain so that it could be used for private economic development, deciding that the tax revenue from the private development satisfied the requirement for public interest for eminent domain. The case was centered around pharmaceutical company Pfizer's efforts to construct a mixed-use complex that included a condominium, hotel, conference center, health club, and stores on the site of private homes in New London's Fort Trumbull neighborhood, in conjunction with a research facility that Pfizer was building nearby. Local homeowners, including Susette Kelo, challenged this development proposal on the grounds that their properties were being seized for private, rather than public, use, which was inconsistent with the Fifth Amendment of the U.S. Constitution's Bill of Rights: "...nor shall private property be taken for public use, without just compensation." In spite of the city's legal victory, the project never got off the ground. The city's chosen redeveloper was not able to get financing for the project, even though the city expended over eighty million dollars acquiring and demolishing homes. The area is now vacant where the seized homes once stood. In November, 2009, Pfizer announced that they were closing their facility adjacent to the site and moving those operations across the Thames River to their site in Groton. The New London campus was sold to General Dynamics in 2010. 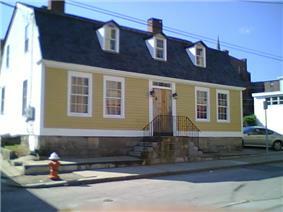 Today, New London Main Street, non-profit civic organization founded in 1998 devoted to the New London Historic Waterfront District, runs programs that promote the district's cultural and economic vitality and also campaigns for various initiatives to keep and enhance the district's streetscapes. All of the group's efforts are put toward the preservation of its neighborhood. The Idlers of the United States Coast Guard Academy, an all-male vocal group specializing in sea chantys and patriotic music. Former Second Cong. Church, Broad St.
Theresa Andrews (1962-), winner of 2 Olympic gold medals. Harry K. Daghlian, Jr. (1921-1945), Physicist at Los Alamos National Lab, first person to die as a result of a criticality accident. ^ "About Metropolitan and Micropolitan Statistical Areas". Census.gov. August 19, 2008. Retrieved October 28, 2011. ^ "CBSA 01". Census.gov. Archived from the original on March 11, 2007. ^ Richard B. Marrin (1 January 2007). Abstracts from the New London Gazette Covering Southeastern Connecticut, 1763-1769. Heritage Books. p. 242. ^ "1911 Encyclopædia Britannica". 1911encyclopedia.org. September 4, 2006. Retrieved October 28, 2011. ^ 2010. Connecticut's Port of New London. The Connecticut Cruise Ship Task Force, Inc.
^ "City of New London, Connecticut - Firefighting Division". Ci.new-london.ct.us. Retrieved 2013-07-10. ^ "City of New London, Connecticut - Ambulance Division". Ci.new-london.ct.us. Retrieved 2013-07-10. 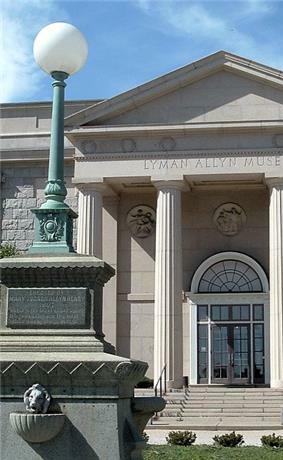 ^ "City of New London, Connecticut - History". Ci.new-london.ct.us. Retrieved 2013-07-10. ^ "Jordon v. New London". AELE Law Enforcement Legal Center. August 23, 2000. Retrieved 2012-11-29. ^ March 12, 2014The Boston Globe,Jacoby, Jeff, "Eminent disaster: Homeowners in Connecticut town were dispossessed for nothing,"
^ "Pfizer and Kelo's Ghost Town". The Wall Street Journal. November 11, 2009. p. A20. Pfizer bugs out, long after the land grab. ^ "A 'wrong turn': From giddy optimism to stunning disappointment". The Day. November 11, 2009. ^ Baldelli, Ann (24 December 2014). 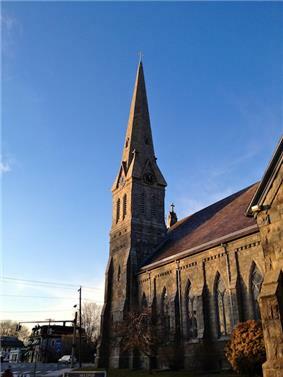 "New Awakening: Congregation left legacy building to find solvency". The Day (The Day Publishing Company, New London, CT). Retrieved 29 December 2014. ^ Keefe, Gavin (20 March 2015). "Wheeler on Dunn: New London basketball legend talks about legend-to-be". The New London Day. Retrieved 13 August 2015.